The Big Draw, October 11, 2016, Low Plaza, Columbia University. The Big Draw Exhibition, October 11, 2016, LeRoy Neiman Gallery. Mabel Wilson and Rebecca Solnit, October 26, 2016, Miller Theatre. 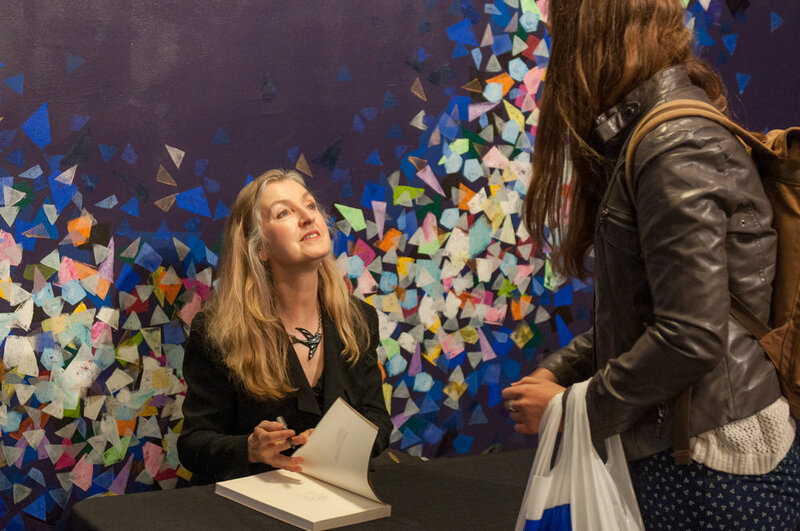 Rebecca Solnit signs Nonstop Metropolis: A New York City Atlas, October 26, 2016, Miller Theatre. 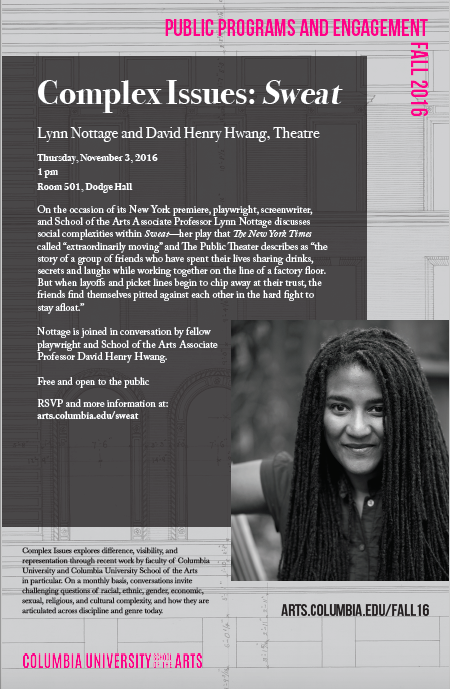 David Henry Hwang and Lynn Nottage discuss Sweat, November 3, 2016. Preview of the Lenfest Center for the Arts, March 2017. The Lenfest Center for the Arts. Photo by Victoria Benitez. 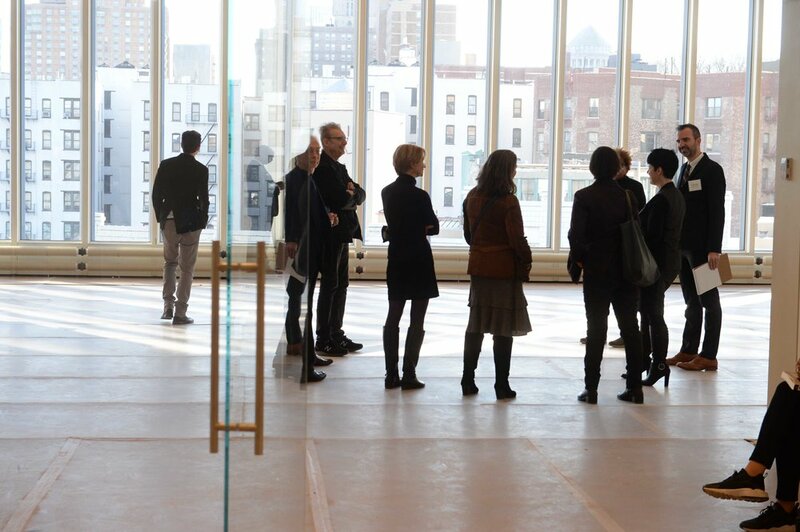 In 2016–17, Gavin Browning organized workshops and events with Rebecca Solnit as part of the Mellon Visiting Artists and Thinkers Program, as well as conversations between Carol Becker and Phillip Lopate; Lynn Nottage and David Henry Hwang; Margo Jefferson and Trey Ellis; Miya Masaoka and Tom Kalin; and Moara Demos and Laura Ricciardi about Making a Murderer; and a performative lecture by William Kentridge. Alongside, he organized The Big Draw — a daylong participatory drawing event on Columbia University’s Low Plaza — with Stephen Jackson, Nicola López, Leeza Meksin, Edward Minoff, and Aliza Nisenbaum, as well as a related exhibition of drawings in the LeRoy Neiman Gallery. He was part of team that opened the Lenfest Center for the Arts on Columbia University’s Manhattanville campus in April 2017. Featuring four flexible venues and a public plaza, this state-of-the-art facility designed by Renzo Piano Building Workshop is a hub for cultural and civic exchange in Upper Manhattan.